Kathy Yoshihara is a graphic designer by day and fine artist by night. 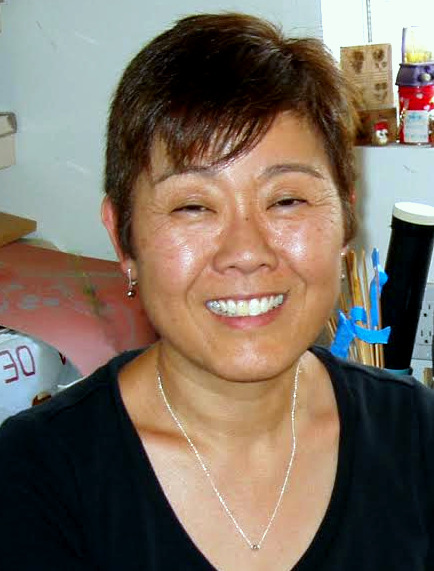 Always learning, she makes ceramic sculptures, modern kokeshi dolls, and image transfers on clay. Most recently, Kathy has been using her background in graphic design to create pieces based on her family history and memories. She is a third generation Japanese American from Southern California. 1. If you could use only 3 words to describe your work, what would they be? 2. You mention that your Japanese American heritage inspires you. Can you tell us a little more? Growing up, I always wanted to be like the majority. At college, I discovered and learned to appreciate my Japanese American heritage. I realized I am the way I am because of my parents. Personally, the internment had a profound effect on how I was raised: be a model student/citizen, work hard, don’t make waves, and do NOT shame your family. For the sansei, gaman [enduring the seemingly unbearable with patience and dignity] is still a way of life. * My work is not so much a social comment, but more of a realization of who I am and embracing of my ancestors and heritage. 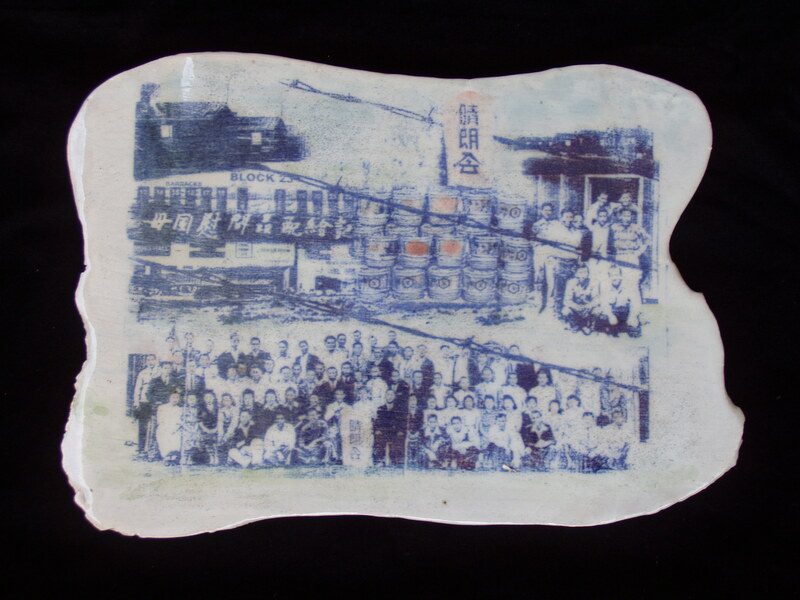 * The Art of Gaman at Bellevue Arts Museum shows powerful examples of objects and art made in the confinement of internment camps and gives context for the kind of art that came before Kathy’s. 3. Do you see your animal sculptures as connected to the art you’ve created about the Japanese American experience? 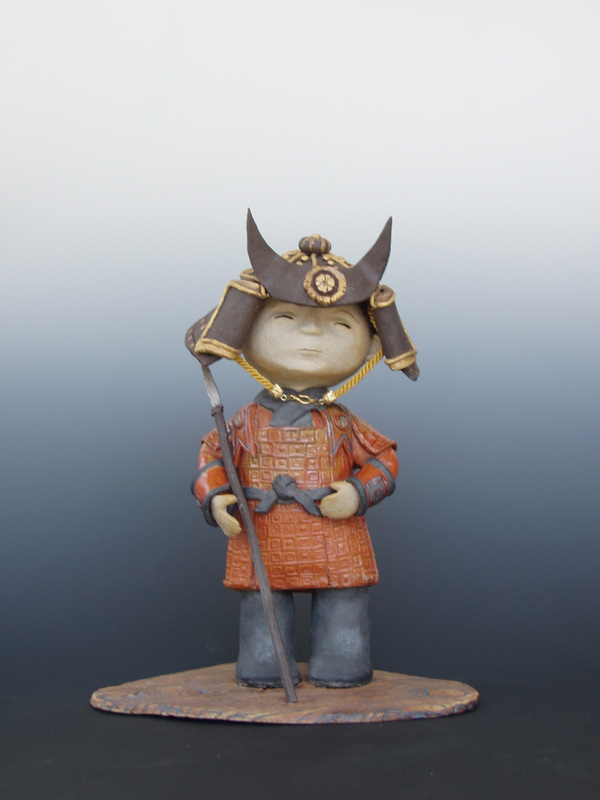 Not so much the Japanese American experience, but more Japanese folk art. I like to create stories, scenes, and mini dioramas. Some of my animals are just animals. I also like to do themes/series—circus animals, zodiac animals–and incorporate them with other pieces. 4. Your work comes in so many forms: prints, clay sculptures, collages, drawings. What materials are you most excited about? For the moment, it is clay because it is so forgiving. It also offers a wide range of techniques-both building and decorative. There is so much to learn-I will probably never get bored and never learn all of them. 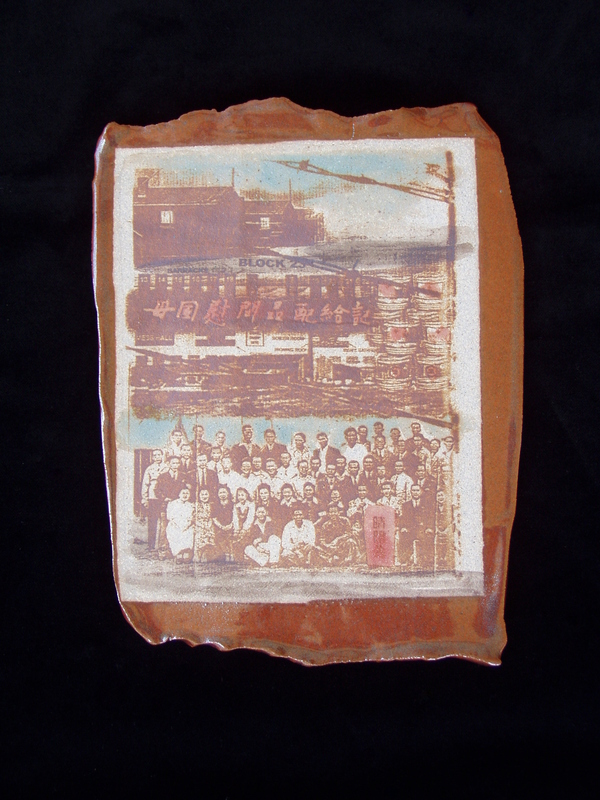 I recently started working with image transfer/printmaking on clay. I like the combination of 2D and 3D. It affords me the opportunity to utilize my computer graphic skills and integrate family photographs with my sculptural pieces. See the pieces from Kathy Yoshihara’s show here. 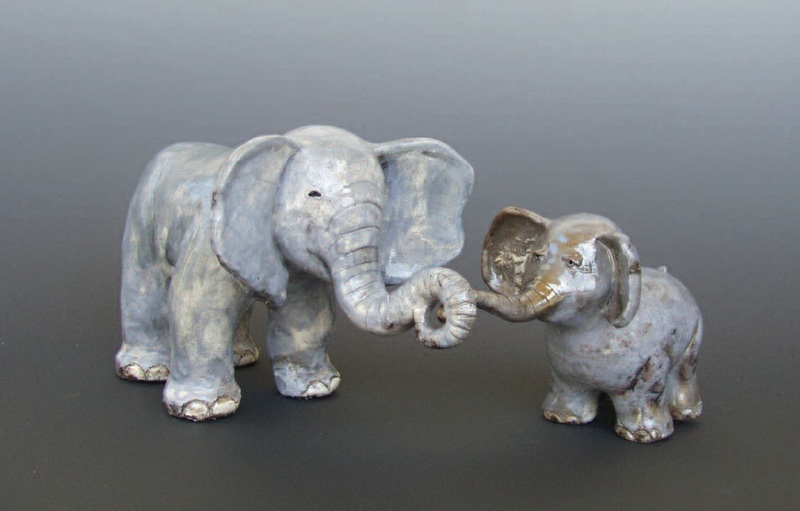 Ceramics by Betsy Williams and Birdie Boone on display through Sunday July 13th.